In the end, the program that took twelve people to the moon's surface was marked by Apollo 17. When the mission was eventually launched on December 7, 1972, public interest had waned, the Vietnam War had shifted the focus of the government, and there were many other factors that shut down the program, even though plans were already on ground for three additional flights. Although it was the last mission by man - so far - there were still some surprises for humanity to discover. It was at the very first mission of Apollo 17 that a scientist formed part of the crew. Harrison "Jack" Schmitt, a Geologist, was among the first six scientist-astronauts chosen in 1965 despite the immense pressure to select from the National Academy of Sciences, who were worried that the walk on the moon would only be done with test pilots. The presence of Schmitt on the Apollo 17 crew as a lunar module pilot wasn't an easy feat. 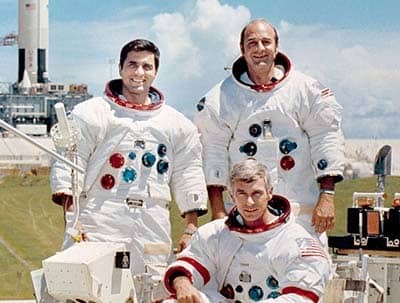 When it was time for the final selection, Schmitt was selected instead of Joe Engle, a backup pilot for Apollo 14 who ordinarily would have been next in the rotation to fly. Members of the crew, Eugene Cernan and Ron Evans were very upset Engle wasn't chosen. Eventually, they were happy with the skills Schmitt displayed on the job. The command module pilot, Evans, was on his first mission to space. He found out he was selected as an astronaut while still on combat duty in Vietnam in April 1966. Evans, in addition to flying in combat, also trained the others on how to do same. A formal Navy pilot, named Commander Cernan faced a lot of challenges in space. During his first flight (Gemini 9), he was exhausted by the spacewalk he did because he was short of handholds to effectively do his job in microgravity. The second time around (Apollo 10), the lunar module surprisingly turned for a moment while descending to the surface. He was an experienced pilot and believed he was ready to take his crew on the most difficult Apollo mission at the time.